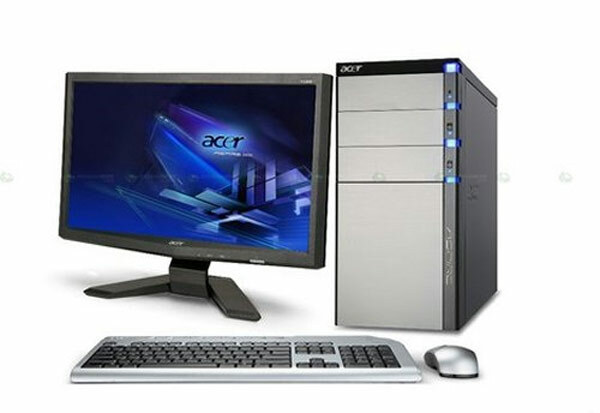 Acer has added another desktop PC to its range with the launch of the Acer M4500. The Acer M4500 features AMD’s new Phenom II X 4 processor, and comes with up to 8GB of DDR3 RAM. Graphics is provided by an ATI Radeon GPU and it comes with support for DirectX 11, there is also an AMD 8 series chipset, and storage wise you can have up to 4TB of hard drive storage. Other specifications include twelve USB 2.0 ports, a multi format card reader, a Blu-ray drive and HDMI as well as ATI’s Eyefinity technology that lets you output the display to a few monitors. There are no details on when the Acer M4500 will go on sale, and also no details on pricing as yet, as soon as we get more information we will let you guys know.